That's the message from three San Fernando Valley politicians pushing back on FAA plans to change departure flight paths out of Hollywood Burbank Airport. They're concerned the new flight paths will increase aircraft noise in their districts. The proposed changes will send planes south over the Santa Monica Mountains along two new flight paths that could affect Studio City and Sherman Oaks. 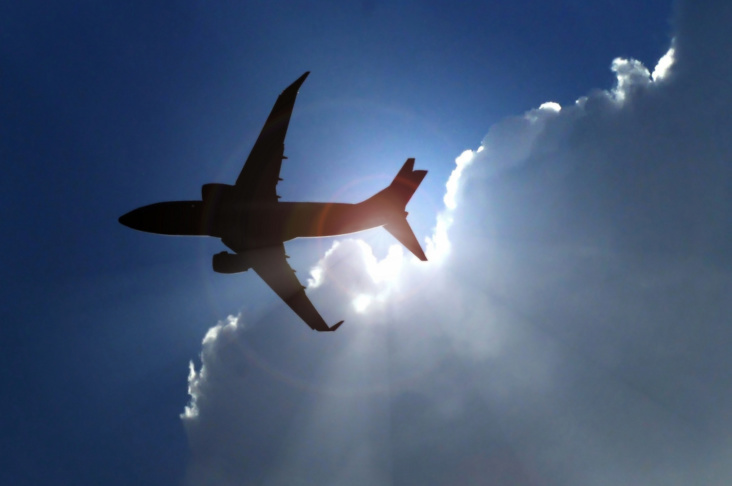 City Attorney Mike Feuer, City Councilman Paul Krekorian and Rep. Brad Sherman each wrote the FAA this week asking for a more extensive environmental study on the changed flight paths. They also said they want a more transparent and inclusive public review process. The FAA says the two routes follow "historic flight tracks" used by pilots flying out of Burbank and do not constitute a significant change. Feuer's letter paints a different picture. He says the new routes "would shift the flight tracks south over new areas in the Santa Monica Mountains" and that "the rising terrain of the mountains will put residents, parks, schools, historic resource sand other land uses closer to the departing aircraft." And he also said any sound would be amplified by the geography, saying canyons within the Santa Monica Mountains "concentrate and reflect" the noise of aircraft. He said that would result in more noise for hillside and canyon residents than would be experienced by people living on the San Fernando Valley floor. Some of the parks that might be subject to more noise are Beverly Glen, Coldwater Canyon, Deervale-Stone Canyon, Dixie Canyon, Fossil Ridge, Franklin Canyon, Fryman Canyon, Longridge and Wilacre. Also affected would be Briar Summit Open Space Reserve, and Mountains Recreation and Conservation Open Space along Mulholland Highway. Sherman Oaks used to get more noise from Burbank Airport, however, changes in recent years have reduced the noise footprint, according to airport reports. People who live in Sherman Oaks have been contacting the office of Rep. Brad Sherman with concerns that aircraft noise could increase under the updated flight paths. Sherman, following a conversation Tuesday with an FAA representative about the new routes, wrote a letter to FAA Acting Administrator Dan Elwell. The two new routes are meant to better separate planes that are flying out of Burbank from planes arriving at a second runway. The change is also meant to help Burbank departing planes avoid those coming into LAX from the south, the FAA said in a statement earlier this week. Twenty-one Southern California airports, including Burbank, now use more precise satellite-guided flight paths under a new FAA program that was completed this year. A spokesman said the FAA would consider all input as they reviewed the route changes. The airport has asked the FAA to move the turning points for the departing aircraft away from the Santa Monica Mountains, instead positioning them over a segment of the 101 freeway, to reduce potential noise over Sherman Oaks and Studio City. 3:44 p.m.: This article updated with the airport's request and embeds to the letters written by the lawmakers. This article originally published at 3:06 p.m.